Click Here Contact Us Fast Service- Serving all US cities. Sky Drug Test is a Third Party Administrator (TPA) service company located in Tracy CA, serving the whole US. Sky Drug Test provides both DOT and Non-DOT drug and alcohol testing and TPA services. 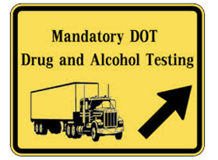 DOT drug and alcohol testing is a program of the U.S. Department of Transportation, trucking companies are also regulated by FMCSA drug and alcohol testing. If you are a trucking company and have employees driving trucks you will have to enroll in a drug testing program. 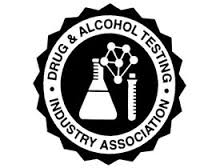 Drug and alcohol testing is also required by many employers, these are non DOT drug tests. 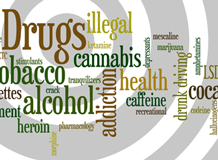 All employers have the option to have a drug and alcohol policy in their work place. Is Sky Drug Test up to date on Regulatory Requirements and Regulatory Updates? Can our company perform random drug and alcohol tests? Federal Motor Carrier Safety Regulation (FMCSR), Parts 40 and 382, specifies the drug testing requirements for safety-sensitive employees in transportation industries including trucking, shipping, aviation, rail and transit. For FMCSA regulated individuals and companies, they are required to get tested before hire, to participate in random pools or a drug testing consortium, and to obtain annual supervisor training to stay in compliance. DOT conducts random and scheduled audits to ensure that companies adhere to these testing guidelines and maintain records in accordance with the regulatory requirements for Federal Motor Carrier Safety Regulation (FMCSR), Parts 40 and 382. A DOT Drug Test is the requirement of the United States Department of Transportation’s Pre-employment and ongoing random drug testing is required according to very specific rules covered in CFR 49 Part 40. A DOT Drug and Alcohol Test is required for post accident, reasonable suspicion, certain random tests, as well as for follow up and return to duty tests as indicated by a Substance Abuse Professional. Some companies also require a Drug and Alcohol Test for pre-employment. Sky Drug Test will schedule a Drug and Alcohol test for you at a location that is close and convenient for you. Every safety sensitive employee (this includes truck drivers) must be enrolled in a DOT Random Pool. Random selections must be made according to the currently published percentages of staff updated annually by the U.S. Department of Transportation. Sky Drug Test also offers a Small Business Consortium to allow companies with less than 6 drivers to meet the DOT requirements for belonging to a random pool. This consortium is a group of numerous small businesses that join together for making sure each small company meet the random testing requirements. Any company with employees that perform safety sensitive (truck drivers are included) functions must have at least one supervisor formally trained in how to identify the signs and symptoms of drug and alcohol use. Sky Drug Test offers this DOT Supervisor Training online in a easy video and app website. Your trucking company’s supervisors can take the course on a computer in the office or home. The required training is 2 hours for the first year, and 1 hour refresher courses each year thereafter. At the end of the DOTsupervisor.com course, they are issued a certificate to keep on file to present to DOT in the case of an audit.